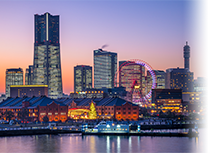 Photomask Japan 2020 is the 27th international symposium on photomasks and NGL masks in Japan. The aim of the symposium is to bring together engineers and investigators from Japan, USA, and all over the world in the field of photomasks, NGL masks, and related technologies to discuss recent progress, applications, and future trends. The conference program will feature invited papers, contributed papers, poster sessions, and a rump session with panel discussion. Display opportunities will be provided to mask manufacturing materials, and equipment companies. Strategies and Business Challenges: Cost, Cycle-Time, ML2 etc.